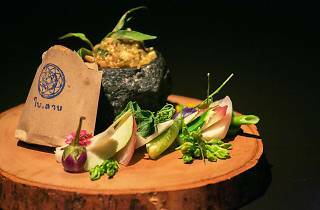 PMQ is set for a Thai takeover this month in the form of one of Bangkok's most celebrated restaurants. Long a go-to for their dedication to traditional Thai ingredients and culinary traditions, Bo.lan's chic setting and refined, contemporary presentation has earned it a near-permanent spot on S.Pellegrino's Asia's 50 Best Resturants. 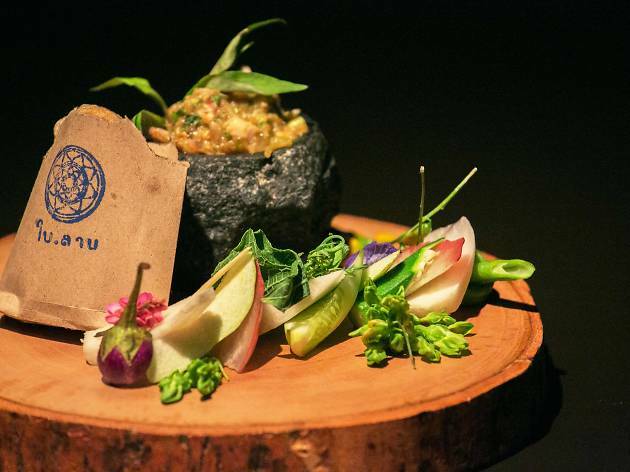 Four four nights (August 17-20), they'll be showcasing their signature dinner menu ($880), featuring dishes like grilled chicken salad with spicy palm sugar dressing and seasonal fruit, stir-fried prawn with young Thai pumpkin, and snake skin pear steeped in perfumed sugar syrup and crushed ice. Also on offer will be an abbreviated lunch menu ($298). From August 21, Bo.lan makes way for its sister restaurant, Err. Opened last July, the casual eatery has won adoring fans at home and abroad with its upscale Thai street food and snacks and Thai-inspired cocktails.